Legendary Basketball Coach Bobby Cremins says "Linda LeClaire and Dr. Bryce Young are the best Sport Psychology Team I have worked with in my coaching career. They created a complete Mental Toughness Training Program for our College of Charleston Basketball team. This program definitely made a difference in our season! I recommend them highly!" Just four more days and we are off to Australia. Life is good! Tennis Australia Grand Slam Coaches Conference. Our topics include: The Confidence Factor, Energy Traps and The Courtside Coach! We will be speaking four or five times on different topics. We are so excited and honored to be speaking at this prestigious conference! Let us know if you are interested in hearing about our experiences in Australia and New Zealand! "Inspirational, informative and motivating. These three words best describe our training seminar with Dr. Bryce Young and Linda LeClaire. I had no idea that my sales team and I would learn so much in one afternoon. This experience will definitely help us attain a higher level of achievement in both our professional and personal lives." Lori Goodridge –Executive Publisher of Monthly Media Group. "What a great Convention! I believe I heard more fantastic reviews on your presentation than any others. We are always so privileged to have you come speak to us. I hope we make this an annual thing. I don't think I have seen a more energetic pair that seems so excited about the game of tennis!" "Dr. Bryce Young and Linda LeClaire are two of the most innovative, energetic and knowledgeable experts in the Sports Psychology field today. They have worked with our teams and have done an outstanding job helping our program rise to the top of college tennis. 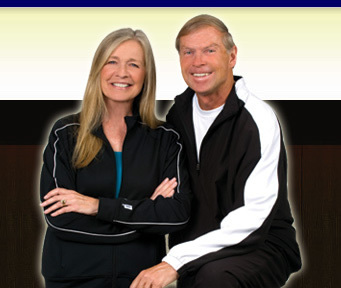 I highly recommend you work with Dr. Bryce Young and Linda LeClaire if you want to see Peak Performance." "Linda LeClaire is the personification of positive energy, centered calm, and passion in caring for others. Her books, seminars, tapes and CDs motivate people to embrace the possibilities of the spirit and soul that lie within each one of us. She continues to inspire through her life's work and commitment to helping others unlock their unlimited energy and potential. With each seminar that I attend, CD that I hear, or in the re-reading of her books, I emerge with a new commitment to apply her words of wisdom to my life. She is indeed one of my most valued mentors."